Square Enix premiered the first Japanese trailer for Dragon Quest Heroes II: The Twin Kings and the Prophecy’s End today. 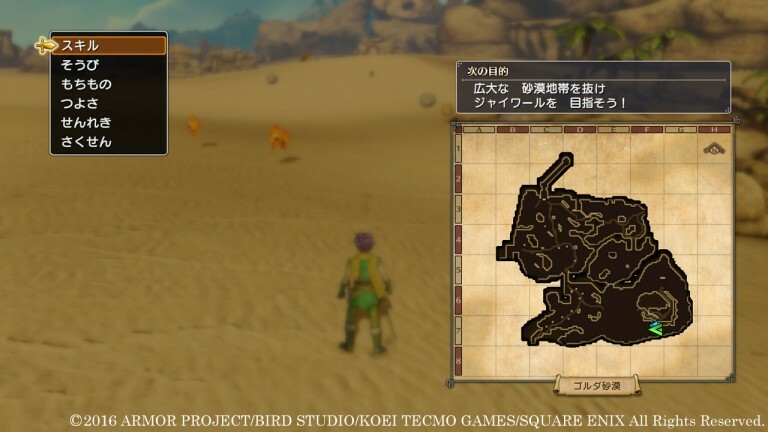 Other than the two main protagonist you can select from at the beginning at the game, the new characters who will be making their debut in this game include: Gabo (DQVII), Maribel (DQVII), Meena (DQIV), Torneko (DQIV), Angelo (DQVIII) and Carver (DQVI). Carver will be voiced by Hiroki Yasumoto. You can learn skills that come with the weapon after using it for a long time. The game flow consists of town, field, and battle stages. They plan to add even more dungeons at a later date via DLC. They also want to add large armies and super giant bosses during these battles in Dungeons. Holding R2 will allow you to dash. There will be field quests that randomly occur. Players can come across materials and treasure chests. Enemies may change due to the weather, and magic will be either more or less powerful. There are numerous places that you can stop by on your way to another destination, such as sealed areas that can be entered if you meet the requirements needed. Considering that the fields are quite vast, players can use Waystones to warp from one place to another. There are seamless enemy encounter transitions in battles. The game obviously has many types of terrains, like forests, deserts, snow fields and grasslands. Rikka’s Inn is the multiplayer reception desk. Luida’s Bar is where you can manage your party. There is a places to take on quests, go to the alchemy pot and purchase weapons and armor. Dharma Priest is where you go to change the protagonists’ job. The jobs included in the game are: magician, priest, thief, soldier and martial artist. The characters skills will also be changed. The game contains a costume-change encounter run by a Firespirit. PlayStation TV, Cross play & cross save support. 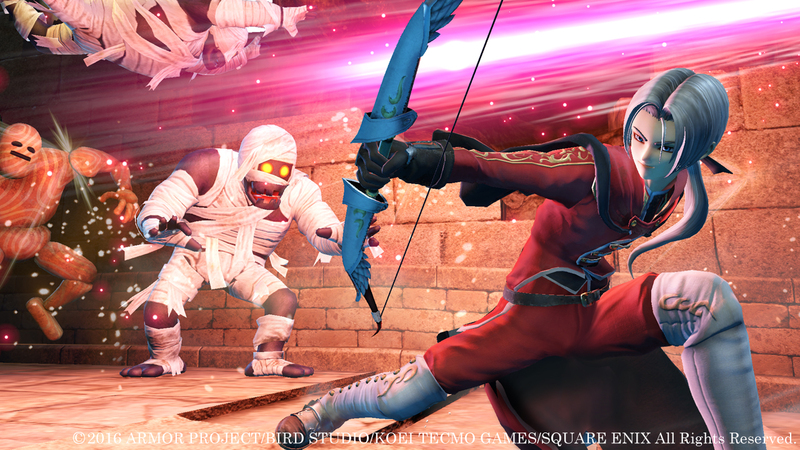 Dragon Quest Heroes II will have PlayStation TV support. 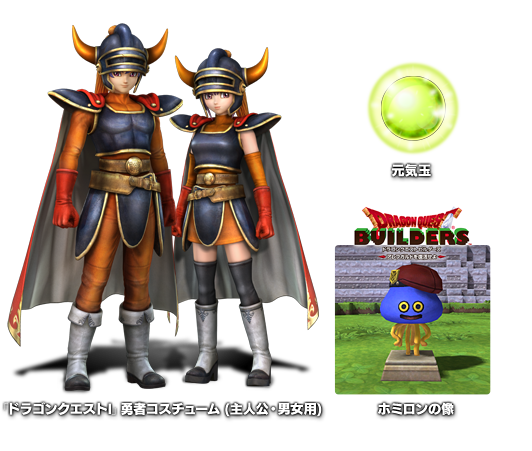 Luceus and Aurora costumes from Dragon Quest Heroes: The World Tree’s Woe and the Blight Below will be among the save data import bonuses for Dragon Quest Heroes II. The “Builders’ Mallet” from Dragon Quest Builders will also be available with the save data import bonuses in the game. Luceus, Aurora, Doric, Isla, Nera, Bianca, Yangus, and Psaro from Dragon Quest Heroes: The World Tree’s Woe and the Blight Below will be downloadable playable characters. All these characters can only be used in the multiplayer and won’t be seen during the story. Bonus content with first-print copies. 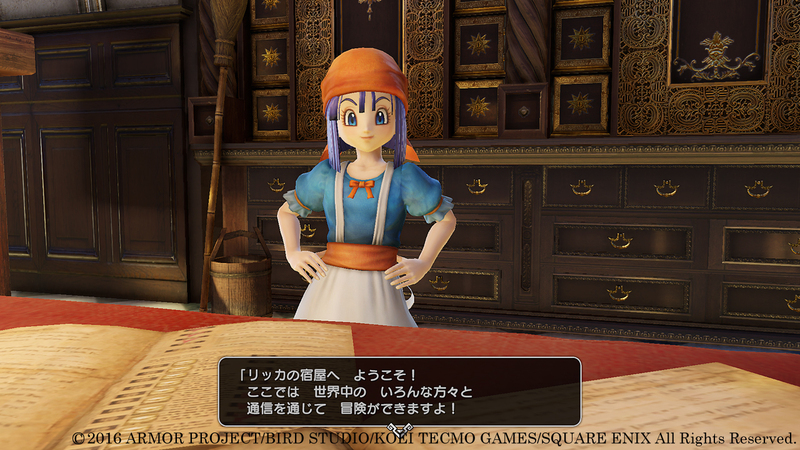 First copies of the game will include costumes from the first Dragon Quest game for Razel and Teresia, and a “Genki Dama” item to use in the game. For Dragon Quest Builders players, you will also receive a recipe that helps you create a Healix statue in the game. Square Enix E-store Limited Edition. 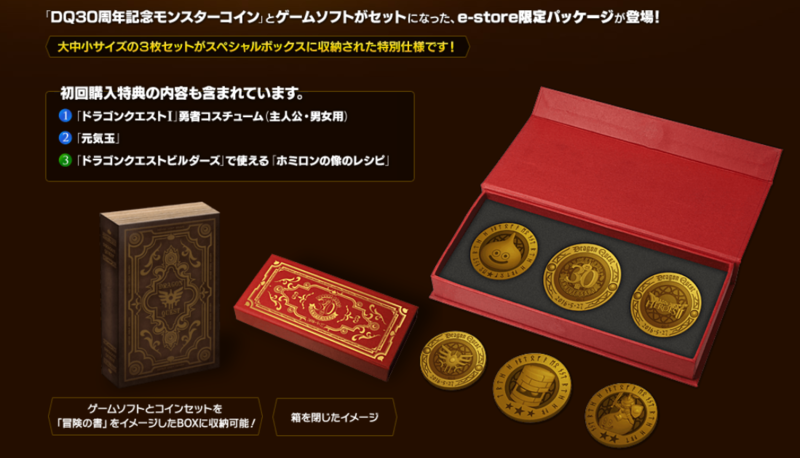 The Square Enix E-store limited edition “Dragon Quest 30th Anniversary Monster Coin Set” will contain the game and 3 sets of monster coins. This edition will be sold for 9,300 yen on PS4 and 8,300 yen for either the PSVita or Playstation 3 version. 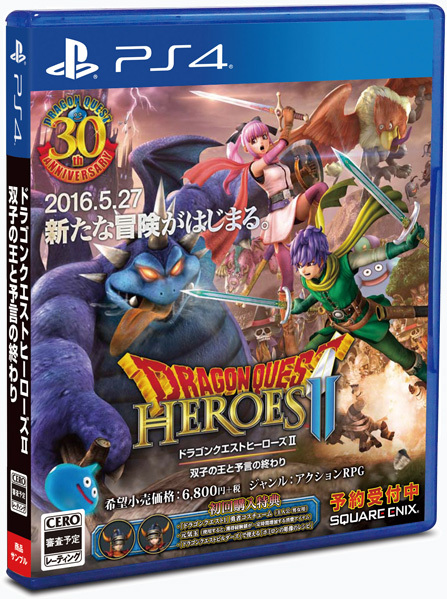 Dragon Quest Heroes II is coming to Japan on PS Vita, PS3 and PS4 on May 27th. A “Cast Announcement Broadcast” will be live via Niconico on April 8th at 3PM Japan time. You can watch all the new gameplay clips from the live stream below. First look at one of the Cinematic cut-scenes in the game. 13 minutes worth of gameplay. Posted in Dragon Quest Heroes. I still need to get my hands on the first game. Both look pretty good from the footage I have seen.